Navico Holding AS, parent company to leading marine electronics brands Lowrance, Simrad and B&G, is pleased to announce a new marketing team structure designed to maximize market growth opportunities. 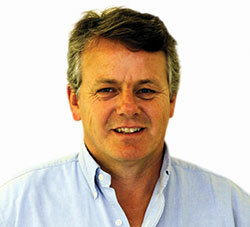 Navico has appointed Jonathon Pudney to the role of Global Marketing Director. Jonathon previously worked at a number of high-level marketing and communications agencies before taking the role of International Marketing Communications Director for the De Beers Group. During his tenure at De Beers, Jonathon’s efforts spanned more than 20 countries at the consumer and trade level. He was responsible for launching De Beers diamond marketing in China, developing and launching the world’s first diamond hallmark, the Forevermark, and running brands in multiple regions including the Americas, Asia Pacific, and Europe, Middle East and Africa. Manager Dennis Hogan, the Lowrance brand is lead by Gordon Sprouse, and the B&G brand retains Jim Deheer at the helm. Jonathon and his Global Marketing team will further increase Navico’s leading position within the marine electronics market, expanding the three brands’ share of voice and unique marketing positions.